J O'Dris Frankie Mac Oct 95 R271, a photo by CorkBilly on Flickr. 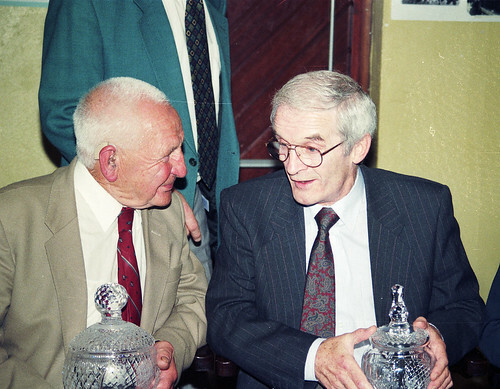 Two of the best from the Cork Soccer Honours Awards Oct 95, Johnny O'Driscoll (left) and Frank McCarthy. To see more pics from 1995 just click on the image.